Today is World Humanitarian Day, a day to remember aid workers who have died while providing assistance to others. For the last fifteen years, I have researched violence against aid workers and aid delivery. My concern for the issue started after being robbed twice while working as an aid worker in West Africa, and after an aid worker friend of mine was injured by a colleague in a dispute. 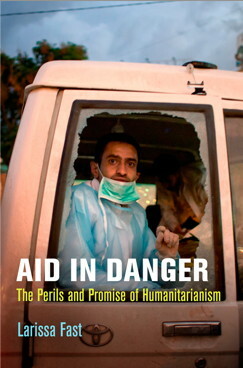 My research has led me to various conclusions, which I write about in my book Aid in Danger: The Perils and Promise of Humanitarianism. I share three of them here. First, numbers matter, and they must be put in context. The absolute numbers of violent attacks on humanitarian aid workers have increased over time. This is tragic and distressing. But what does this really mean? The number of aid workers has increased, and we have better reporting of incidents, both in the media and within aid agencies themselves. These developments account for some of the increase. In addition, various projects (see here, here and here) use different definitions, which helps to account for discrepancies in the overall numbers. Finally, some countries, such as Pakistan, South Sudan, or Syria are more dangerous than others. The dangers therefore aren’t universal nor are they the same everywhere. Without some context, the absolute numbers themselves don’t tell us much about the origins of the violence or what can be done about it. They may even be misleading because they don’t give us the whole picture. This leads to my second point. As the bloggers and readers of Aid Leap will know, fatalities (and other types of severe violence, such as kidnappings, and injuries) are only the tip of the iceberg. Aid can be disrupted by a protest at a food distribution, the theft of supplies, a carjacking that doesn’t result in any injuries, or the denial of access. An anonymous threat toward an individual aid worker or aid agency can take up significant time and resources to investigate, thereby diverting time and resources from providing assistance. While aid workers and agencies generally recognize the negative effects of these incidents, this everyday violence receives much less attention. Yet its effects on the delivery of aid are cumulatively greater than the severe violence. Third, paying attention to the everyday violence that aid workers experience inevitably leads to questions about how aid agencies protect aid workers. Enclosing aid workers behind tall walls and barriers, or traveling in big white branded vehicles may protect them from some threats or attacks but does little to address any of the actions of individual aid workers or aid agencies that put people in harm’s way. These measures also create physical, and mental separation between “us” and “them.” Even the professionalization of the field, with its emphasis on technical skills and expertise, creates subtle forms of separation that undermine local actors and the relationships that facilitate humanitarian responses. All of this ultimately makes humanitarianism less effective. All of this leads me to suggest that the aid community needs to critically examine its own security policies and procedures to ensure that these are helping (vs. hindering) the work and engagement with communities and other actors. Considering aid worker security within the broader context of their work – the delivery of aid – is crucial. Aid agency responses to security threats also affect the provision of assistance. This connection is often overlooked. The consent-based approaches, such as acceptance and negotiated access, build on relationships and seek to gain consent for programs, presence, and activities. While not a panacea to address all violence, these approaches are critical to ensuring better security, more effective programming, and to reclaiming the essence of humanitarianism.